Final authorised opinion polls published on Friday just days ahead of the Israeli general elections showed Israel's Prime Minister Benjamin Netanyahu heading for a fifth term in office, leading a right-wing coalition. 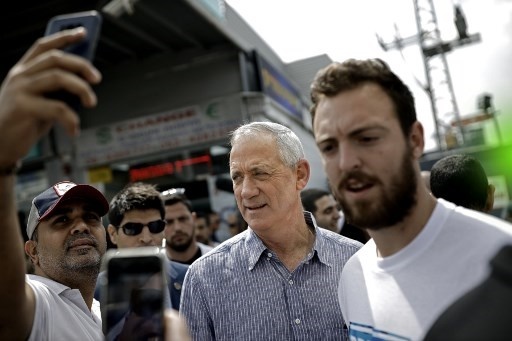 The polls revealed the rival centrist Blue and White list led by former military chief Benny Gantz was running virtually neck-and-neck with Netanyahu's Likud ahead of Tuesday's vote. But while most polls saw Gantz's list as scooping slightly more votes than Likud, neither party was predicted to win more than 25% of seats in parliament. And the polls were unanimous in forecasting that Likud would be able to build a viable ruling coalition to beat off Gantz's challenge. None gave a figure for undecided voters, although the number is reportedly high enough to swing the outcome. "Past polls have shown that nearly one out of every six-seven voters makes a decision only in the last two days before the elections, and it isn't clear what will be the dynamic of the coming few days," Maariv daily wrote on Friday. A poll by Smith Research for the Jerusalem Post published on Friday showed Gantz's Blue and White, picking up 28 seats in the 120-member Knesset, with the right-wing Likud at its heels with 27. But it found that overall the right and centre-right would control 68 seats compared to 52 from the centre and left. Friday is by law the last day on which surveys can be released before the ballot boxes open on Tuesday morning. A poll published late on Thursday by public broadcaster KAN gave the right a narrower, although still decisive, lead of 64 to 56. Top-selling daily Yediot Aharonot put the gap as narrower still, at 63-57.